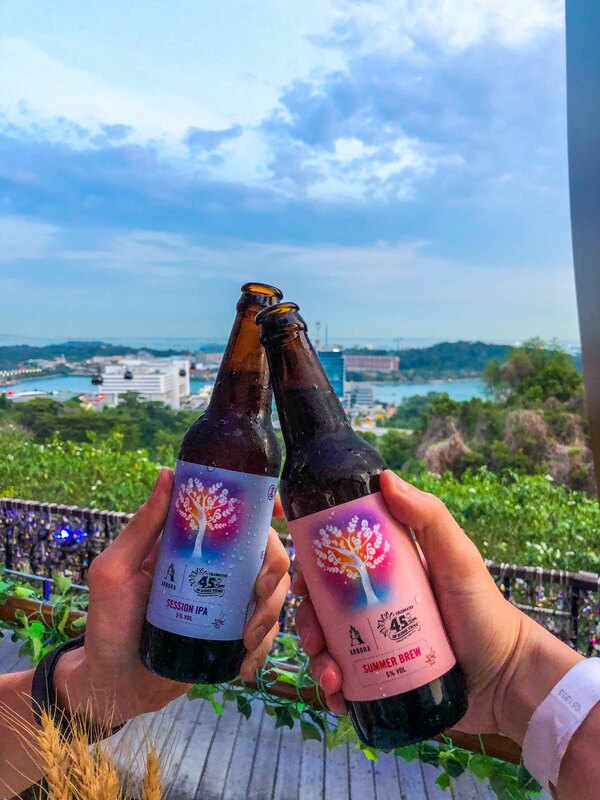 To mark the 45th anniversary of the iconic Singapore Cable Car, One Faber Group brought a whole new guest experience at Faber Peak Singapore on 29 March and unveiled their line-up of year-long activities. One Faber Group proudly presents the spectacular “Miraculous”, where central characters Mira & Mirak – a pair of mighty squirrels – live in a heart shaped Angsana tree at Arbora. The squirrels have a special ability to camouflage and can only be seen through their luminous back strips and tails. 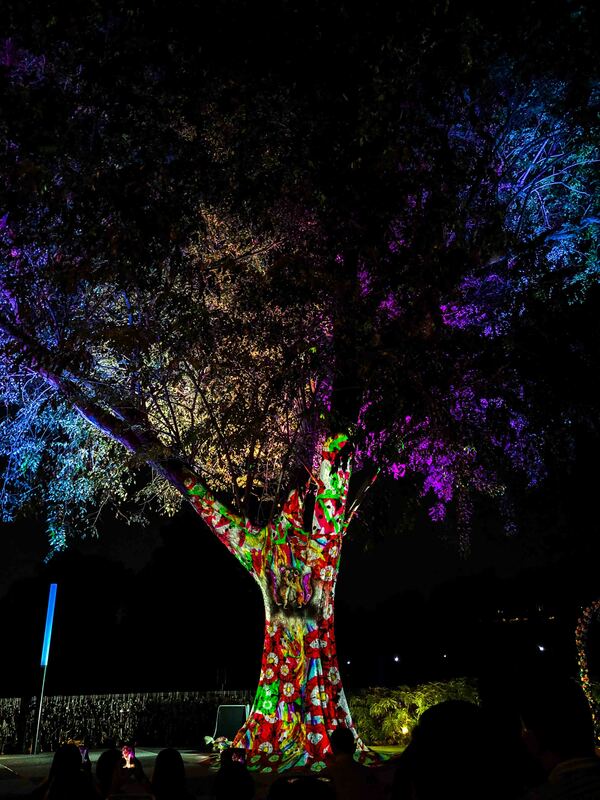 The kaleidoscope of lights featured on the tree represents diverse energy – pink for love, gold for health, purple for wealth, orange for happiness & blue for knowledge. 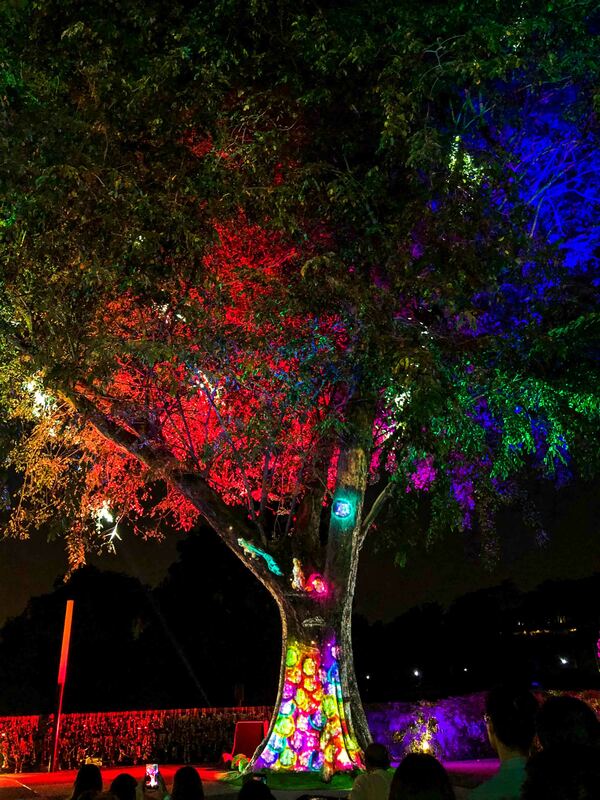 Miraculous will be performed nightly for three sessions: 7.30pm, 8.30pm and 9.00pm. Entry is reserved for cable car patrons, diners and Faber License members. For a limited time only, experience vintage Singapore Cable Car cabins on special display in one convenient location – at Mount Faber Cable Car Station. Learn more about Singapore’s iconic attraction from display panels placed beside each cabin. For those who desire a journey of discovery, the Explorer Passport is your “map” to go on a self-guided adventure! 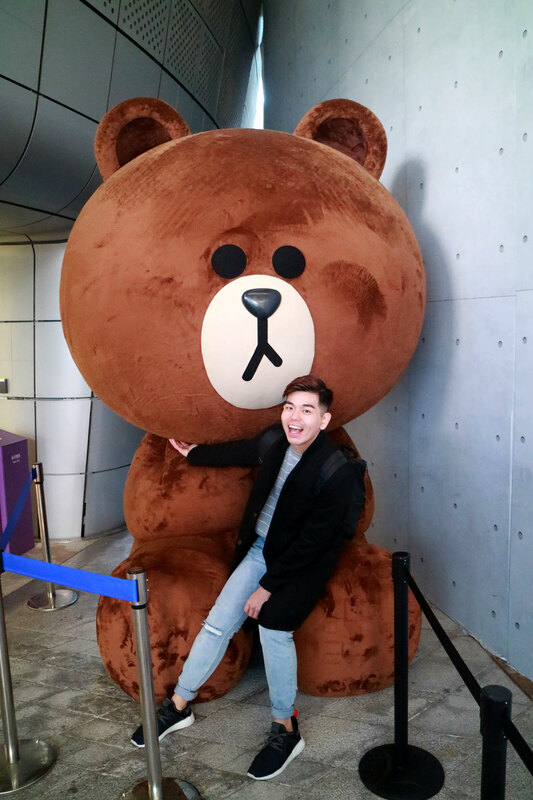 Learn more about the Singapore Cable Car and Faber Peak Singapore, as you embark on exciting onsite activities across five cable car stations via the two cable car lines. Do you know there is a “hidden” Merlion located on Mount Faber with great views? Participants will discover this and more when they complete five checkpoints and acquire five unique designed ink stamps on their passport to mark their accomplishment. 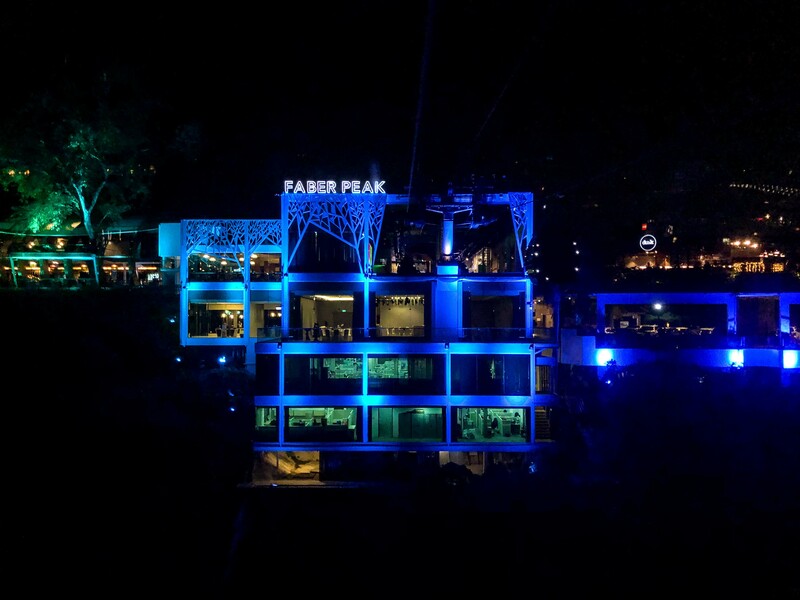 The passport also includes a guide for night activities to enjoy at Faber Peak, instructions to participate in a social media contest as well as F&B and retail vouchers to use right away. 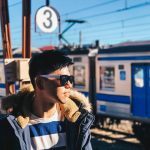 Type: Self-guided exploration activity at 5 selected cable car stations. Redeem Explorer Passport with every purchase of Cable Car Sky Pass at any ticketing counters. 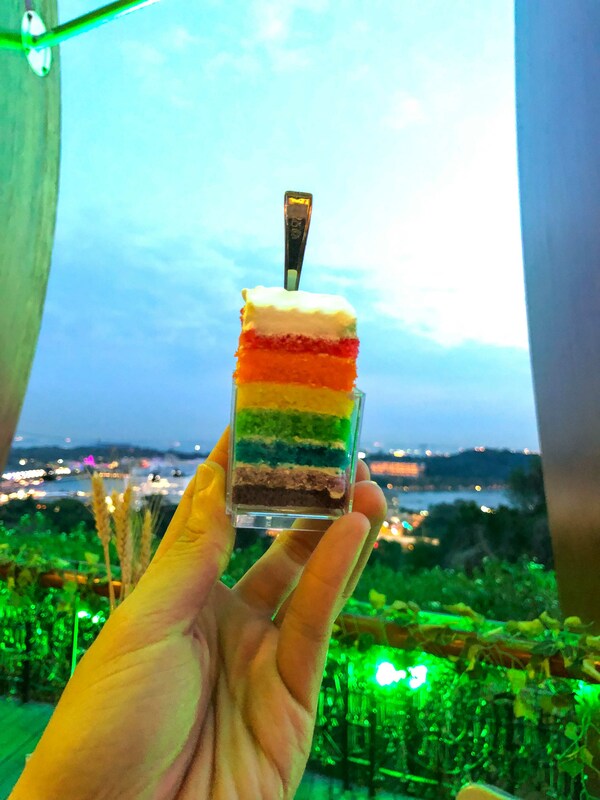 Inspired by the ‘Miraculous’ and its psychedelic colours, One Faber Group specially created a rainbow tower layer cake that is topped with a cute squirrel macaron to pay homage to Mira and Mirak. Served with a sprinkling of forest berries for a thematic touch, this dessert will surely tickle the palate of the young ones and the young-at-heart! One Faber Group will be introducing two new craft beers to commemorate the 45th Anniversary. The bottle labels are specially designed for the Multimedia Night Show “Miraculous”, and it features ingredients that resonate with the nature theme of the performance. These exclusive beer flavours will be available from 30 March 2019 at Arbora restaurant. The Session IPA (Indian Pale Ale, ABV 5%) brings a rounded bitterness with herbaceous, floral hop notes, courtesy of the Amarillo hops which accounts for its distinct flowery, spicy and tropical notes, while the Nelson Sauvin hops deliver citrus-like with qualities of ggrapefruit Perfect as a refreshing drink in the day. The Summer Brew (ABV 5%) is a fresh German style brew of wheat beer with recognisable banana and wheat flavours, as well as subtle hints of clove and vanilla for those with a discerning palate. The use of Pacifica™ hops inject a floral aroma and a citrusy note reminiscent of orange marmalade. 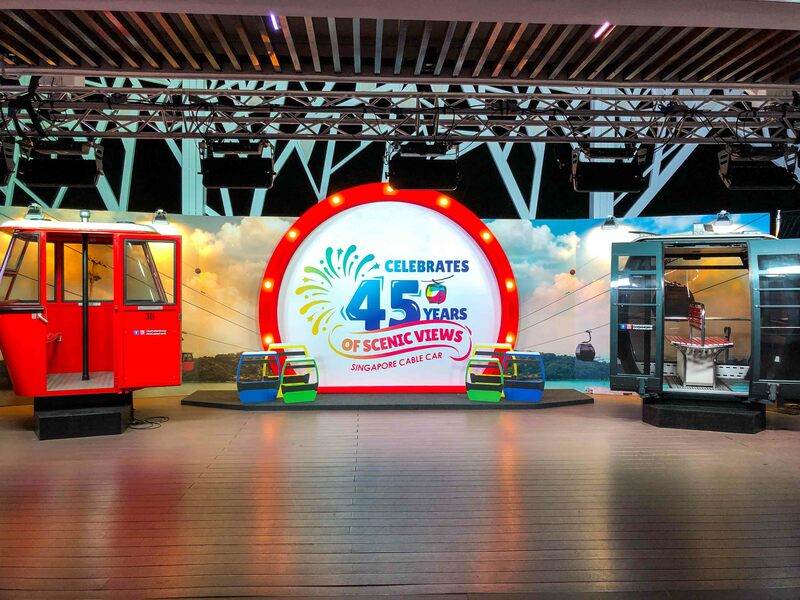 “To celebrate the Singapore Cable Car 45th anniversary campaign, we have lined up fun and exciting activities that will create lasting memories for tourists and to bring back happy memories for the locals.” – Mr Buhdy Bok, Managing Director, Mount Faber Leisure Group.